Canadian astronaut David Saint-Jacques is taking his first spacewalk this morning. Saint-Jacques and U.S. astronaut Anne McClain began their spacewalk around 8 a.m. ET. The pair are doing work on alternative power source for the Canadian-made robotic arm known as Canadarm2. NASA said in a briefing that another task has been added to the spacewalk — removing a defective piece so a mechanical arm can later install a nickel-hydrogen battery. The cables to be installed by Saint-Jacques and McClain will allow the Canadarm2 to make repairs to the station without the need for a spacewalk. The walk, which NASA says is part of a broader project to improve the power system for the International Space Station, is expected to take 6½ hours. McClain was supposed to take part in a spacewalk in late March alongside Christina Koch, but the first-ever all female spacewalk was scuttled because of concern around the safety of the spacesuits available to the astronauts. Instead, Koch went out with colleague Nick Hague. The pair successfully installed new lithium ion batteries and completed tasks aimed at improving power supply. 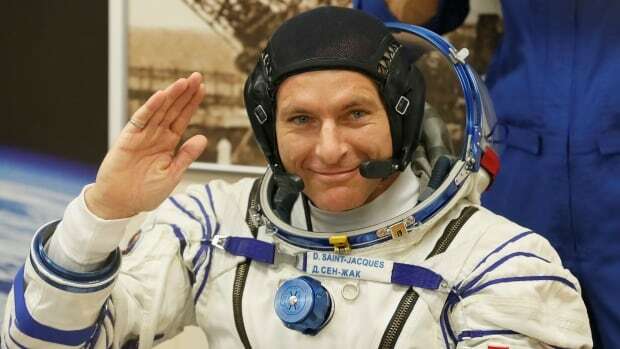 Saint-Jacques — a doctor, engineer and astrophysicist — blasted off from Kazakhstan alongside McClain and Oleg Kononenko of Russia in early December. He’s the first Canadian Space Agency astronaut to travel to space since Chris Hadfield in 2013.